Write your representatives and the NCGA leaders and tell them NOT to override Governor Cooper’s vetoes. 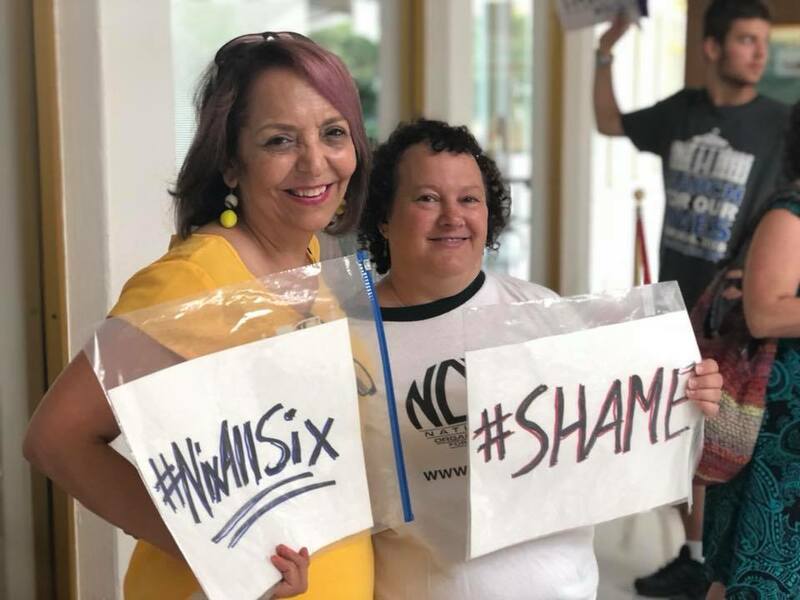 Read more about the situation with the #NCGA interference in the constitutional amendment captions and the NC Supreme Court election at “Tell the NCGA to stop their dirty tricks. #NixAllSix! 8/4/18.” See how to contact them and get an idea of what you could say here. Here is a polite version of a letter to use verbatim or as an example. Also see here where to look up your current state representatives too (not the ones in the November election). You are welcome to edit and use your own words. If you write them, it is likely their office will respond. If you call, less so. I am writing today as your constituent to ask you NOT to override Governor Cooper’s two vetoes from the July Special Session bills. As you know, there is already a commission to set the captions on the constitutional amendments. One bill takes away the job of that commission and gives it to legislative leaders. But it is not the legislative leaders’ job to have. Please leave the veto. The second bill interferes yet again with the NC Supreme Court election and other judicial elections – elections the #NCGA already interfered with by making all judicial races partisan races and by eliminating primary elections in them. Then there was a new law passed, mid-campaign, to put candidate Anita Earls last on the ballot. The latest bill targets a candidate in the same NC Supreme Court race, by removing the partisan tag off him and only him. Please vote against this election interference by letting Governor Cooper’s vetoes stand. Can I count on you to join me in opposing this effort to allow lawmakers to further interfere with NC elections? Find your current NC Senator and member of the NC House at Who Represents Me NC. Voter lookup shows your situation for the November election, which may differ from current. Also write Senator Phil Berger and House Leader Tim Moore while you’re at it. They represent all of us since they lead the NC Senate and House. They plan these maneuvers and seem to work together on them often. This entry was posted in constitutional amendment, Courts, Judicial takeover, ncga interference, protest and tagged constitutional amendment, Courts, Judicial takeover, ncga interference. Bookmark the permalink.